Stone veneer is one of the best ways to upscale an outdoor kitchen. Stone veneer walls can be built to virtually any specifications. Stone veneer is incredibly durable and offers a variety of design options. These qualities make stone veneer one of the most popular materials for outdoor kitchen walls. Stone veneer comes both natural and manufactured. Natural stone veneer is more expensive and challenging to work with, which is why it is less common than manufactured veneer. However, natural stone veneer offers an utterly unique appearance and unparalleled authenticity. Manufactured stone veneer has its own advantages, including easier installation, versatility, and a close resemblance to natural stones, such as bluestone, limestone, cobblestone, river rock and fieldstone. There is very little difference in appearance between real and manufactured stone. Their colors are both vivid and both options offer a wide array of patterns. As with any masonry project, the construction of a stone veneer wall requires a capable contractor who has the knowledge and experience of working with stone veneer to craft a structure suitable for exterior conditions. Natural stone patios and patio steps are increasingly popular because of their ability to stand out and create a striking appearance for the landscape. Natural stone is known for its stunning surface colors and textures. These characteristics make it ideal for a range of patio styles. Natural stone comes in rectangular, square and irregular shaped pieces. 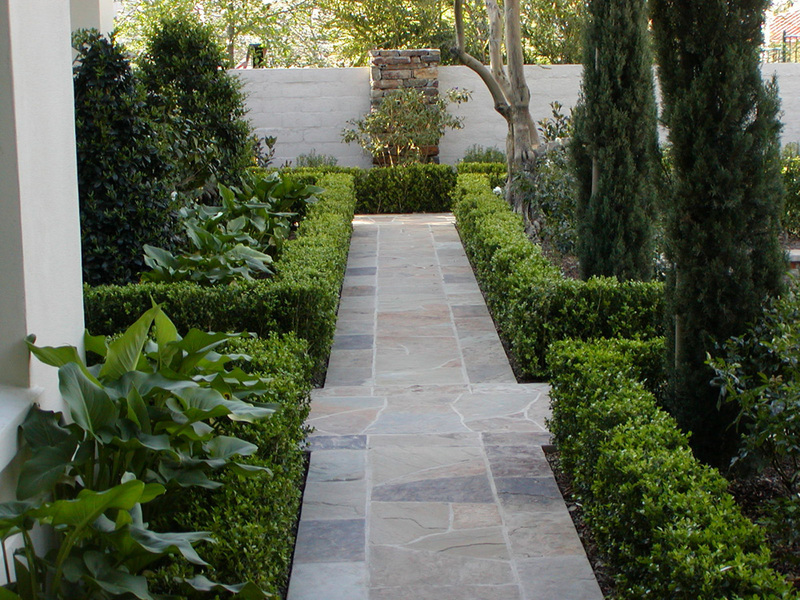 Cleanly cut shapes are ideal for creating a minimalist or modern look, while irregular pieces are more suitable for traditional landscape styles. Natural stone can be dry or wet laid, and creates an elegant, earthy look with a relaxed, enjoyable visual appeal. Retaining walls play a major role in exterior design. Aside from being an often necessary structural element, retaining walls can serve as built-in seating or feature walls. Concrete blocks are incredibly durable. They’re also versatile and flexible, offering a wide array of colors, textures, and styles for building retaining walls that match the style of any landscape. Concrete blocks allow landscape designers to go with a look that will either complement its surroundings or create visual contrast. Modern concrete units have refined surface textures that resemble the look of natural stone. They are available in a range of colors that are excellent for different residential applications. An enchanting walkway is the best way to add freshness and a sense of adventure to a landscape. Limestone is one of the most popular natural stones because of its organic appearance and gentle texture. Large limestone tiles in subtle colors, such as silver, grey, buff and a range of tones in between, never fail to create beautiful structures that evoke a sense of mystery and opulence.